While many folks enjoy spending winter’s chilly nighttime hours indoors, huddled around a cozy fire, the longer evenings of the season also provide extra opportunities for us all to explore the wonders of the night – gazing at the cosmos, listening in the stillness for the sounds of winter wildlife, or strolling down a warmly-lit city street with friends and family. As a supporter of the International Dark-Sky Association, you belong to a community of people who understand that the natural nighttime environment is necessary to the vitality of all living things. You know the value of the night and the International Dark-Sky Association’s fight to save it. As we move into this special season, we also enter an important time for the International Dark-Sky Association – our annual end-of-year fundraising campaign. This year we invite you to both contribute to the campaign, and to explore with us all the ways in which IDA works to protect and restore the night in your neighborhood and around the world. •Understanding the impacts of light pollution, cities across the globe are making the decision to retrofit their lights to 3,000 Kelvin or lower – a more environmentally friendly correlated color temperature. •Global headlines are drawing attention to scientific recognition of light pollution’s destructive effects on night pollinators and bird migration, as well as the serious threats to human health and wildlife caused by disruption to circadian rhythms. 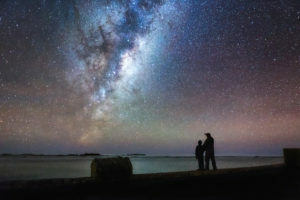 •An increasing interest in dark skies festivals, star parties, astro-tourism, astrophotography, and star lore is bringing together a record number of people eager to learn about light pollution. The momentum that’s building around the dark sky movement would not be possible without your continued support. Help us intensify this global shift in awareness and action so that we, together, can put an end to the unnecessary waste and destruction of light pollution. Please give today to our Exploring the Night 2017 Winter Campaign to support this critical work. P.S. 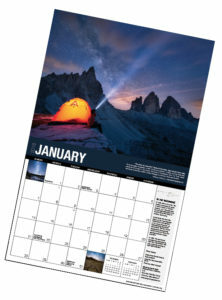 When you give a gift of $50 or more, you’ll receive our stunning 2018 wall calendar, celebrating 30 years of IDA and featuring award-winning photography of night skies around the world! Please give now. P.P.S. This year we invite you to follow along with our Exploring the Night 2017 Winter Campaign. Be sure you are signed up for our e-newsletter by visiting www.darksky.org/e-news. Join us as we explore IDA’s important work in your neighborhood, in the natural world, in cities around the globe, and throughout the dark sky community.